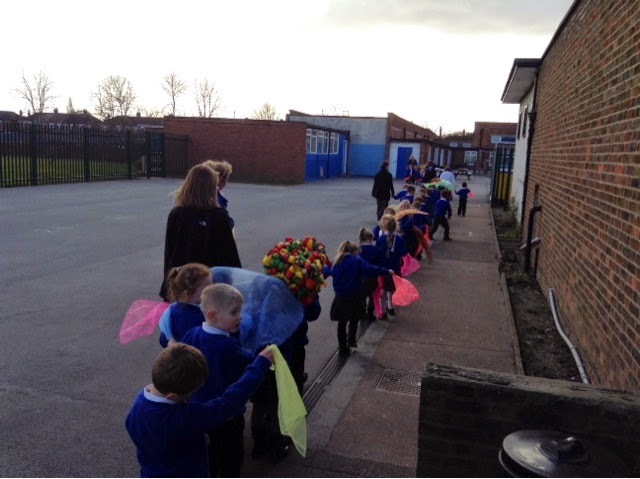 F2 were delighted to celebrate all their learning about Chinese New Year by performing a dragon dance through the school. 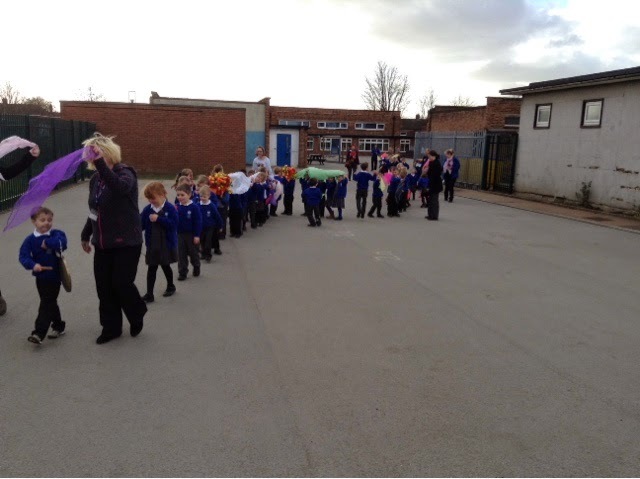 We took the dragons we had made, musical instruments and colourful scarves. We called out "Kung hei fat choy!" to the rest of the school. We hope you all enjoyed the dragon dance.